Healthcare has entered a new era. Every single day, medicine and technology are getting more advanced and helping us take better care of ourselves. There are more and more healthcare gadgets that are wearable as well as ones that work with your smartphone. Most of these portable health gadgets are geared towards monitoring your fitness, alongside their counterpart health apps. These tools help monitor and manage serious health conditions like asthma, heart problems, diabetes and low blood oxygen levels. They are also small and portable, so you can keep them with you at all times. These portable health gadgets encourage you to start and stick to healthier habits. Ranging from a smart pain relief wand to medical devices which monitor vital signs, these innovative items can quite literally change, and even save, your life. With the summer approaching, all of us are in a rush to lose all the weight we have been piling on throughout the winter. From the smart sock, to the HAPIfork, these portable health gadgets will also help you get back in shape. Whether you're just someone who is a little health-conscious, a complete fitness fanatic or looking for something to help you get back in shape, these portable health gadgets will help you get fit and feel your best in the summer months and for the rest of the year. So you want to make your portions smaller but your willpower is not enough for you to do it. HAPIfork is a gadget that will help slow down the rate you eat your food. It has sensors to notify you through small vibrations if you’re eating too fast. The HAPIfork also tracks the duration of your eating and the amount and intervals of ‘fork servings’ per minute. There is an accompanying app which can track all the data. The data can also be transferred through a mini USB. The HAPIfork’s fork “brain” is hidden in the body but can be removed to wash. This smart sock enables you to get feedback from your ankles! The pressure signals are attached to the ankles in this fitness tracker, which is designed mainly for runners. 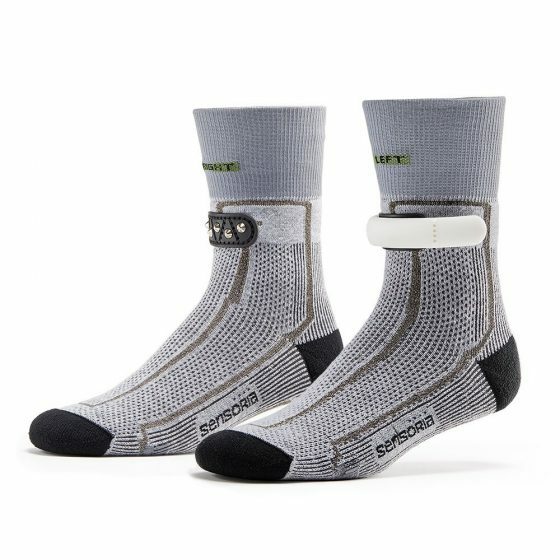 This sock tells you how well you’ve been running and how to improve your performance over time. The sock is washable and has been reported to be very comfortable to wear. The application also learns from your daily movements and acts like a virtual coach. It provides tips on how fast your pace should be or how to land your feet correctly when running. 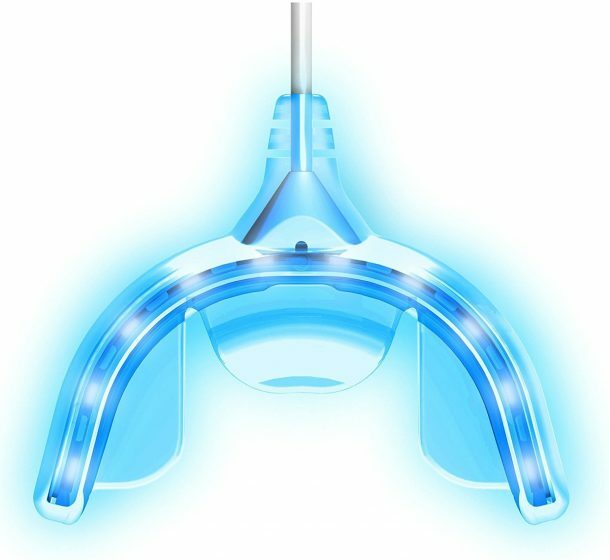 This innovative teeth whitening device uses revolutionary technology Guided Light Optic (G.L.O.) to deliver results as if done by a professional dentist. This teeth whitening device is powered by a compact, iPod-like controller. To make your teeth whiter, you have to spend four 8-minute application sessions daily. This can make your teeth up to 5 shades whiter in 5 days. You will have access to an efficient and long-lasting teeth whitening procedure through this kit. It also does not induce any sensitivity. The kit also includes a mouthpiece and case, lip care balm, and 10 G-Vials of whitening gel. 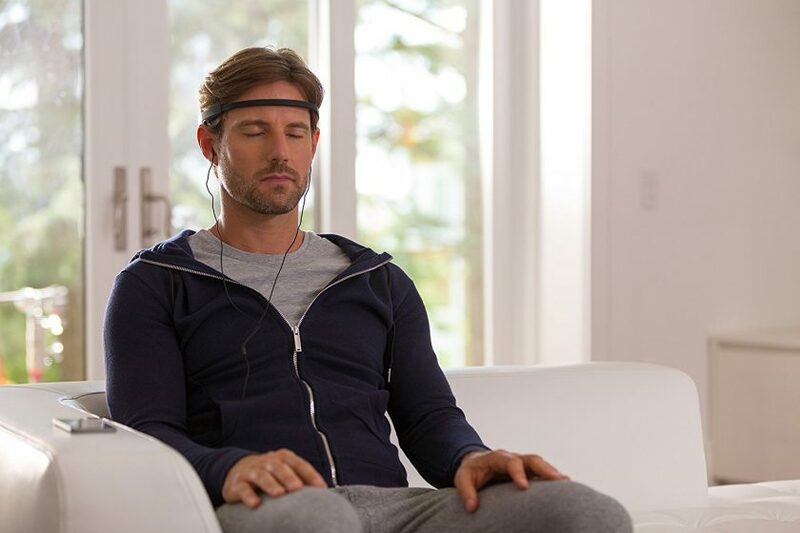 This lightweight headband and its companion app has 7 electroencephalography (EEG) sensors and monitors your brain activity during meditation. It transmits the information to your computer, smartphone, or tablet via Bluetooth. This creative tool is designed to help you manage and reduce stress, by giving you real-time feedback on what’s happening in your brain. It also offers motivational challenges and rewards to encourage you to make meditation a part of your routine. Just put on the headband, put in the earbuds, start the app, and close your eyes. You will hear the sounds of a beach or rainforest. If you are calm, you'll hear peaceful weather sounds. If your mind is not calm, the weather will intensify, leading you back to a peaceful state. The device aims to teach you how to achieve peace and calm. 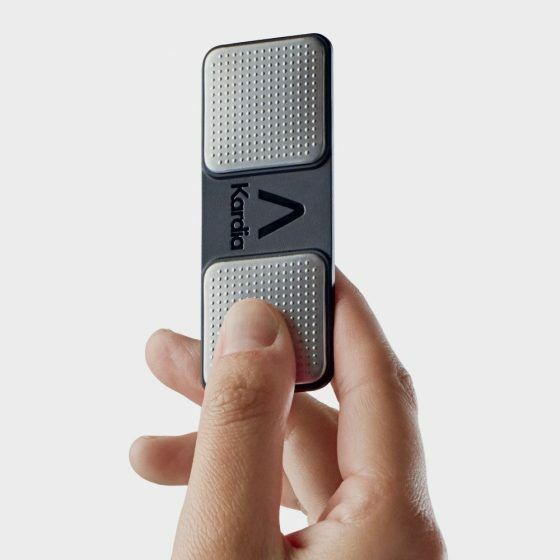 This portable EKG monitor allows you to track the health of your heart anytime, anywhere. It comes with an app and delivers a medical-grade electrocardiogram (ECG) to your smartphone or tablets in just 30 seconds. It’s FDA approved. You can e-mail your EKGs to yourself, your doctor or anyone else. This device is so practical, it can even save your life. This device can cool to 43º F to use for inflamed joints and can heat up to 104º F in just one minute to relieve pain and stimulate circulation. It is wearable and works with four AA batteries. This tool is the perfect alternative to the traditional ice packs or heating pads but it is better than them because it doesn’t lose its temperature. It uses hot or cold therapy to treat aching muscles, reduce pain, and stimulate circulation. It is easy and practical to use and fits comfortably in the hand. It also allows the user to apply pressure to hard-to-reach areas. 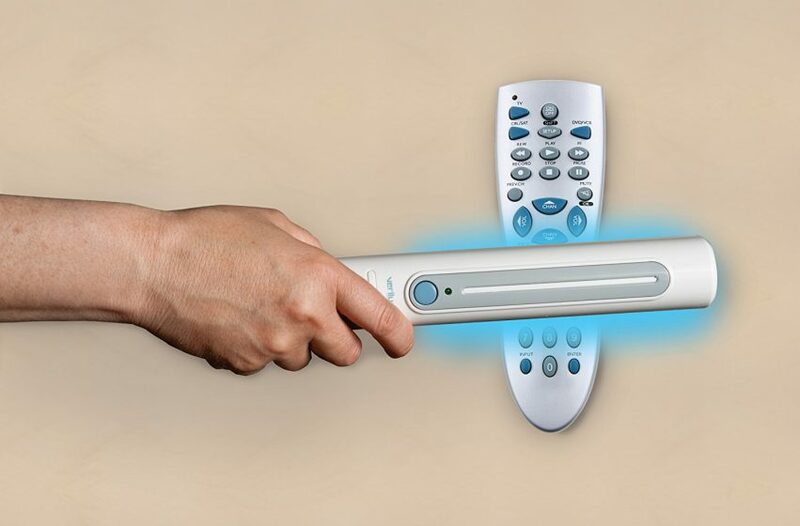 This travel wand emits a UV-C light which eliminates up to 99.9 percent of bacteria and viruses found on the surfaces we touch every day. It does this by destroying their DNA. The sanitizing travel wand is 10 inch-long and is effective against harmful germs such as MRSA, H1N1, and E-coli. You just hold the device over the surface you want to clean for 30-60 seconds. The surface will then be completely germ-free and safe to touch. You can use it at home, in the office public transport. Because it is light and portable, you can carry it in your handbag or purse easily. It also kills odor-causing bacteria and can be used in pets’ beds or hospitals. It is entirely safe and does not contain any chemicals.